LockTrip is proud to release the booking statistics for yet another highly successful quarter. 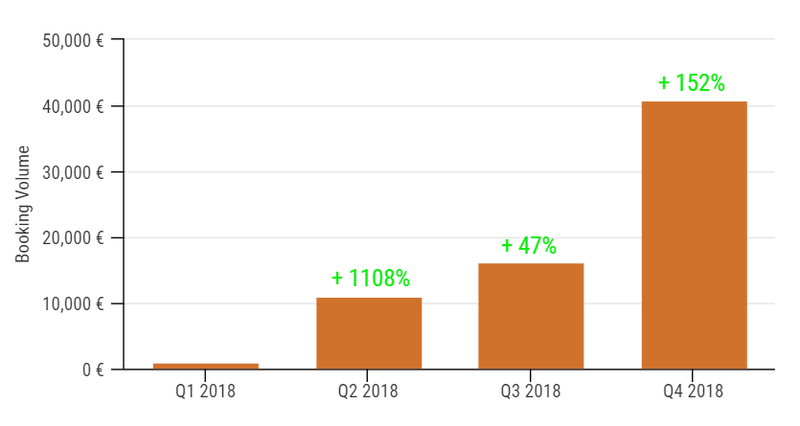 During the last quarter of 2018, we were able to more than double the amount of bookings placed on our marketplace for the 3rd consecutive time. Especially the fiat payment feature added during the quarter was received very well and contributed to the strong growth rate, which reaffirms our understanding that improved usability of the marketplace directly correlates with conversion rates and has a strong selling factor by itself. 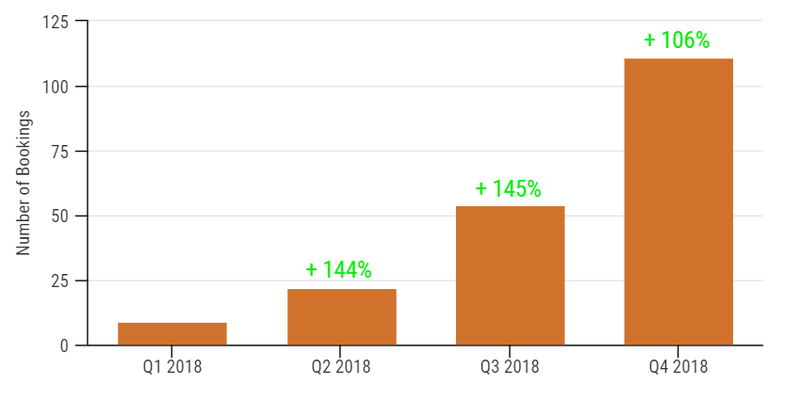 Talking in numbers, the fourth quarter saw a total of 111 bookings, which represents an increase of 106% compared to the 54 bookings received during the third quarter. This growth rate was in line with our expectations. In the last quarter of 2018, we received more bookings than during the first three quarters combined. More impressively, the total booking volume jumped by 152% following a slower growth rate during the previous period. We had the pleasure to process bookings worth a total of 40,789 € during Q4, compared to 16,171 € in the third quarter. The unproportional jump was mainly caused by a number of high volume bookings that pushed up the average considerably. As a result, this metric performed significantly above our expectations. After three consecutive quarters of doubling, we expect a slower, more moderate growth rate in the first quarter of 2019. This is because we will be focusing on user experience improvements before our next phase of marketing kicks in. Nevertheless, we expect a very strong overall 2019 as this will be the year in which we start to transition from being a development oriented start-up into a growth oriented company.